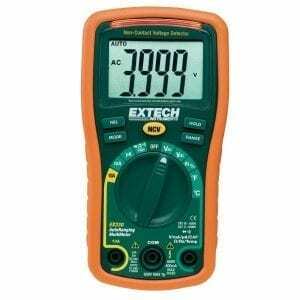 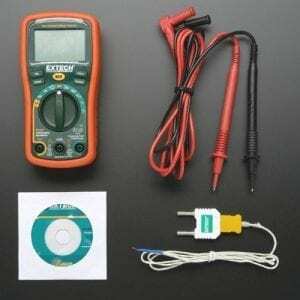 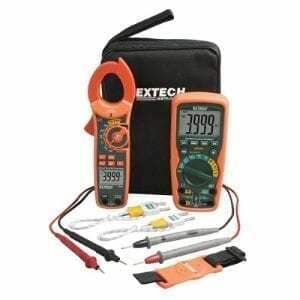 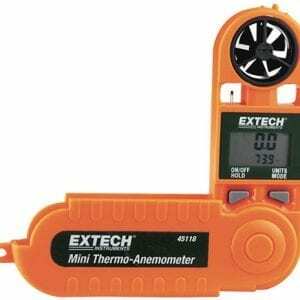 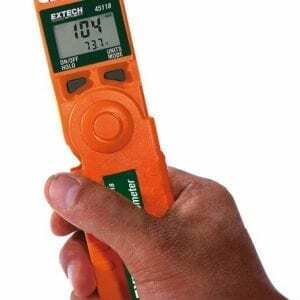 The Extech EX330 mini digital multimeter is a compact, ruggedly designed multimeter including a non-contact voltage detector in order to detect the presence of AC voltage before testing. 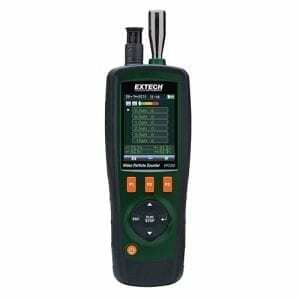 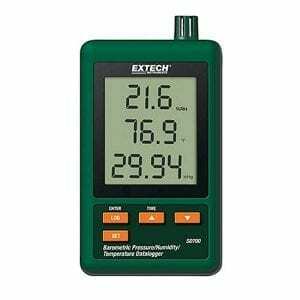 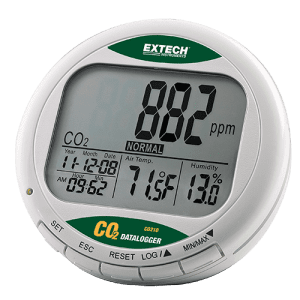 The Extech EX330 is also capable of capacitance, resistance and frequency measurements as well as temperature readings via Type K thermocouple (°F/°C switchable). 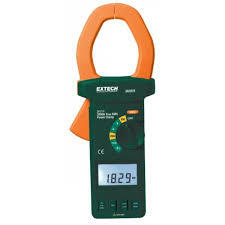 Basic accuracy for the meter is ±0.5%. 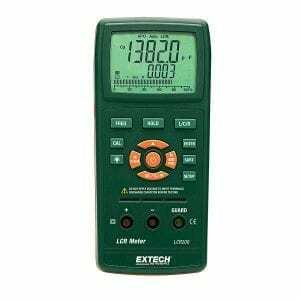 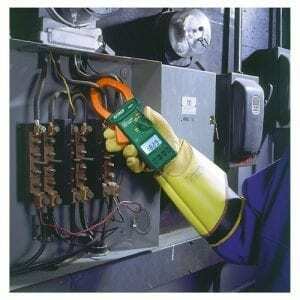 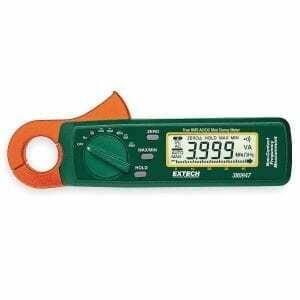 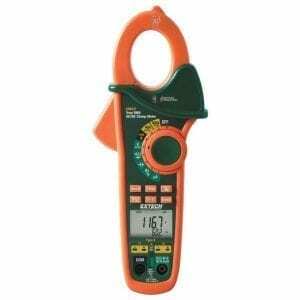 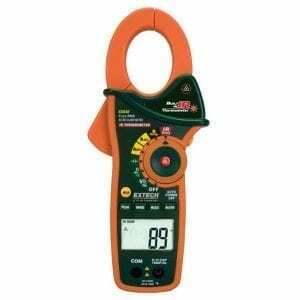 Other features of the meter include data hold, low battery indicator and large, easily readable 1″ display digits. 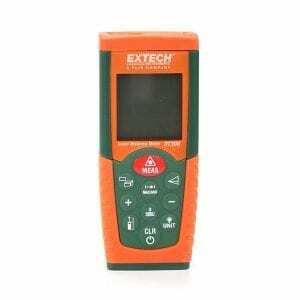 The Extech EX330 can detect the presence of AC voltage (from 100 to 600VAC) simply by being held very near to a voltage source. 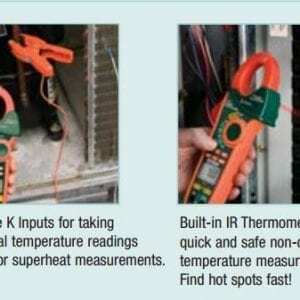 The meter will automatically turn off after 15 minutes of inactivity. 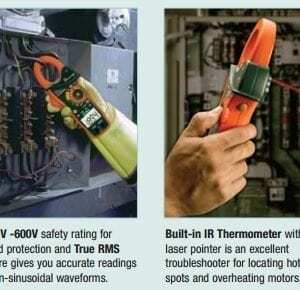 This will conserve battery energy. 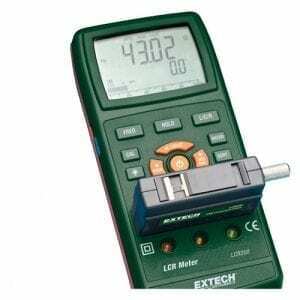 To turn the meter on after an Auto Power OFF, simply turn the rotary switch to OFF and then back to the desired setting.The relative measurement feature allows you to make measurements relative to a stored reference value. A reference voltage, current, etc. 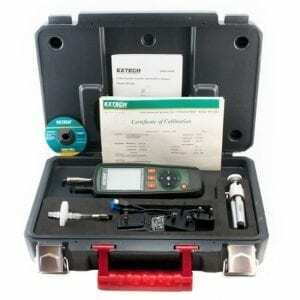 can be stored so that subsequent measurements can be made in comparison to that value. 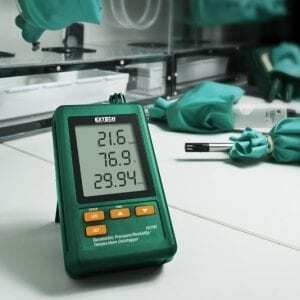 The displayed value is the difference between the reference value and the measured value. 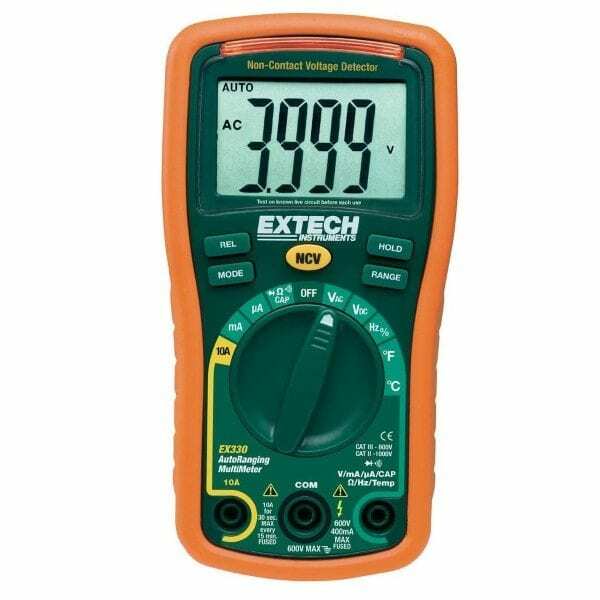 The icon will appear in the lower left-hand corner of the display when the battery voltage becomes low. 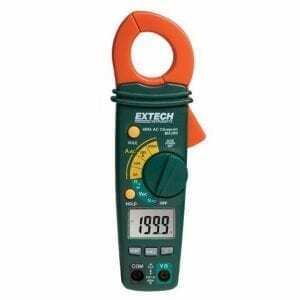 Replace the batteries when this appears.